Advancing Refugee Protection In The Asia-Pacific Region – A Role For New Zealand? In May 2015, the world witnessed appalling scenes of fishing boats crammed with refugees, asylum seekers and migrants from Myanmar and Bangladesh being pushed back to sea by Thailand, Malaysia and Indonesia. Desperate men, women and children were left without food and medical care for a week, before the Philippines and later Indonesia and Malaysia offered to take them in. This crisis exposed the willingness of some governments in the region to ignore legal obligations and humanitarian imperatives. In situations where lives were known to be at risk, they deliberately looked away. Sadly not an isolated case, this episode is emblematic of the wider issues refugees and asylum seekers face in the Asia-Pacific. According to the United Nations High Commissioner for Refugees (UNHCR), the region hosts more than 3.9 million refugees and 4.8 million people who are internally displaced, stateless or seeking asylum. The majority of refugees originate from Afghanistan, Myanmar, Iraq, Iran and Sri Lanka – countries that are either emerging from or in the middle of brutal conflict, all with complex histories involving the persecution of ethnic minorities. These people have very few opportunities to find protection; while countries such as Malaysia, Thailand and Indonesia have hosted persons fleeing war and persecution for decades, effective legal regimes, policies and practices to protect their basic rights are virtually non-existent. The majority of the region’s countries have not even signed on to the UN Refugee Convention. As such, refugees and asylum seekers in these countries face significant hardship. In most cases, they are denied the right to work, to access basic healthcare and to send their children to school. Access to timely and fair procedures to recognise their status as a refugee is difficult to say the least, with wait times for an interview with UNHCR often amounting to several years. 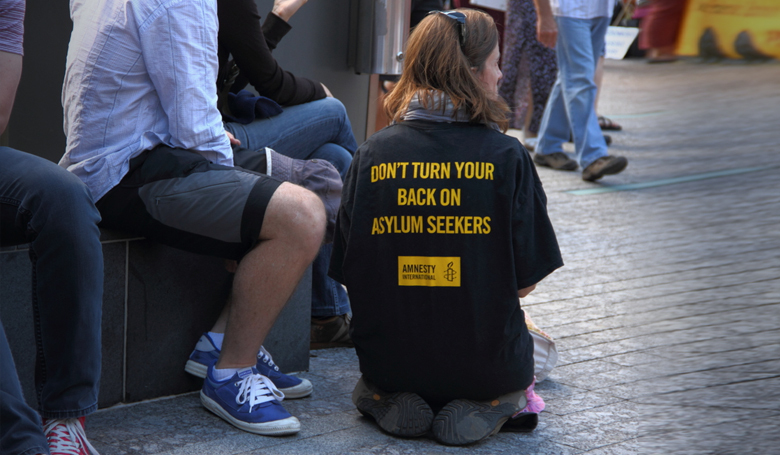 The ensuing life in legal limbo places refugees at great risk of detention, exploitation, abuse and forced return to their country of origin. With no legal status and few savings after years of displacement, they are forced to live day to day, which leaves them desperate to seek protection elsewhere via dangerous unofficial channels, often involving human smugglers and traffickers. If there is no chance of living in safety or having access to basic necessities, what choice do refugees have but to risk their lives? This is where New Zealand comes in. Amnesty International recently supported a visit by four experts from the Asia Pacific Refugee Rights Network (APRRN). Their message to the government was clear: New Zealand has the potential to use its diplomatic and aid channels to improve the situation of refugees and asylum seekers across the region. Given that Australia has left a moral vacuum with its inhumane asylum seeker policies, a new “honest broker” is needed to encourage countries like Indonesia, Malaysia, Thailand, Pakistan and Sri Lanka to develop stronger domestic protection systems for refugees. Sign and ratify the 1951 Refugee Convention and/or its 1967 Protocol, and implement these instruments in domestic law, policy and practice. With the next sailing season approaching, it is imperative that immediate steps are taken to protect the lives of refugees and asylum seekers. From this month onwards, we are likely to see a surge in people boarding leaky boats that will put them at serious risk of drowning unless adequate search and rescue systems are put in place. New Zealand should remind its partners in the region that they are legally obliged not to push back boats arriving in their territories, but instead to assist them to land in safe disembarkation places. While states have a right to police their borders, saving lives must be a clear priority. In addition, while people smugglers and human traffickers are– rightly – to be blamed for sending thousands of people to their deaths, combatting crime does not absolve governments of their responsibility to provide asylum seekers and refugees with protection. As an elected member of the UN Security Council, New Zealand also has the authority – and responsibility – to address those human rights conditions that cause people to flee their homes. For instance, discrimination against ethnic minorities and repression of human rights defenders are daily realities throughout the region. The majority of those rescued at sea in May 2015 were Rohingya fleeing systemic discrimination and persecution in Myanmar. New Zealand’s relationship with Myanmar has grown significantly in the past few years, connecting through free-trade agreements and bilateral aid. Yet, it is unclear if and to what extent New Zealand has pressured the Myanmar authorities to cease discrimination and violence against ethnic minorities, especially the Rohingya. The harrowing events in the Bay of Bengal and the Andaman Sea were only the latest episode in a long-standing crisis which is by no means over. Those facing persecution in their home countries will continue to flee to seek asylum. It is therefore crucial that governments across the Asia-Pacific put concrete measures in place to save lives in distress, to ensure that the human rights of refugees and asylum seekers are protected and respected, and to address the root causes of displacement. As a historically strong proponent for human rights, and with Australia’s ability to foster constructive dialogue at a low point, New Zealand is well-placed to lead the way in regional refugee protection. 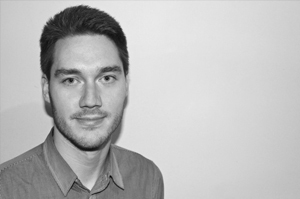 Carsten Bockemuehl is the Advocacy & Research Coordinator for Amnesty International New Zealand. He has previously worked with Amnesty International’s UN office in New York. His work is focused on protecting civilians in armed conflict, tackling the global refugee crisis and empowering human rights defenders. Amnesty International is an independent non-government organisation devoted to the promotion of human rights. Founded in 1961 and with over seven million members and supporters in more than 150 countries, Amnesty International has a long history of successful campaigns. It led the campaign for the adoption of the United Nations Convention Against Torture in 1984, generated global support for the establishment of the International Criminal Court, and worked with partners to ensure the UN adopted the first ever Arms Trade Treaty in 2013. Amnesty International is well known for campaigns to release prisoners of conscience, and ending the death penalty. © Copyright AUT 2019. All rights reserved.